Home Tags Posts tagged with "cicadas"
Dr. Scott Shalaway recently attended the Los Angeles County Museum of Natural History's annual Bug Fair. He also spotted a bear on his property and has made note of the return of cicada brood V.
By the end of the month, cicadas will be impossible to miss in parts of Ohio, West Virginia, southwestern Pennsylvania and western Virginia. Cicadas emerging after 17-year sleep from parts of Pa., W.Va. and Ohio. 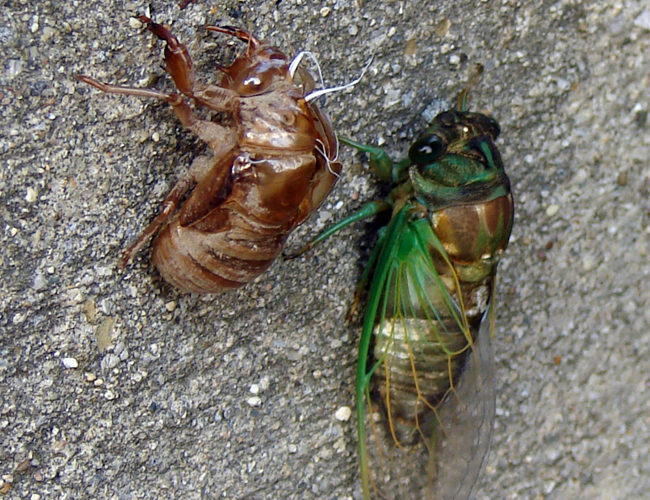 Brood V cicadas will emerge in parts of Ohio, Pennsylvania, West Virginia, Virginia and Maryland in 2016. In case you’ve been living under a rock, I’ll catch you up on this year’s cicada swarm.This year’s brood II has spent 17 years underground just waiting for the perfect moment to emerge and begin making large amounts of noise and baby cicadas.